Various problems can develop in your leg veins, resulting in poor blood circulation if proper medical care is not sought out. Fortunately, the experts at Gilvydis Vein Clinic offer a variety of excellent treatments for helping you live your best life comfortably; regardless of any common leg vein issues. When the blood vessels in your legs sustain damage, they create a web-like appearance referred to as spider veins. These spider veins have a red, purple, or blue appearance, making it easy for them to be mistaken as bruises. It is vital to seek endovenous laser ablation treatment or sclerotherapy promptly as both spider and varicose veins can result in immense discomfort. Spider veins can cause swelling, itching, and heaviness in the legs. The veins are more likely to affect women than men, and become readily apparent as they bulge and twist. Certain professionals are also more likely to have to deal with spider veins, including waitresses, nurses, doctors, athletes and teachers. Iliofemoral venous overflow obstruction occurs when a vein in the leg becomes narrowed or blocked, obstructing blood from getting back to the heart (poor blood circulation). Iliofemoral venous overflow obstruction is most likely to take place in veins located in the lower abdomen, with symptoms similar to that of varicose veins. This condition may cause throbbing, swelling or pain in your legs throughout the day, with the potential to create skin discoloration. Iliofemoral venous overflow obstruction may also cause deep vein thrombosis (DVT), which occurs when a blood clot develops in any of your body’s veins, particularly one’s legs. Although the condition can be asymptomatic, it can also result in extreme leg pain and swelling. DVT can put you at risk of developing a pulmonary embolism, creating chest pain, shortness of breath, rapid pulse, lightheadedness and/or coughing up blood. It is essential to schedule an appointment with Gilvydis Vein Clinic the moment you start developing symptoms of iliofemoral venous overflow obstruction. Many of the risk factors for iliofemoral venous overflow obstruction are similar to that of spider veins. Individuals who are obese, have a family history of the disease or sit for long periods need to be extra cautious. In addition to prompt treatment, our experts at Gilvydis Vein Clinic may also recommend for you to exercise more and make lifestyle changes, such as quitting smoking and losing weight. Both varicose veins and spider veins occur as a result of venous insufficiency. With venous insufficiency, your veins are not equipped to carry blood back to the heart because the valves do not work as they should. This means more blood flows back down into the legs. Seeking Treatment for Leg Veins? If you’re suffering from leg vein problems, reach out to the vascular experts at Gilvydis Vein Clinic for treatment. We’ll assess your legs and symptoms during a vein screening, then move forward with customizing a treatment plan based on your needs. As you grow older, you will need to be aware of the signs of a broader range of potential bodily complications, especially those involving vein health. With one in every four Americans displaying some form of severe heart disease throughout their lives, paying attention to what your veins are telling you is more important than ever. Varicose veins, in particular, are a common issue among individuals between the age of 40 to 80, and while they are not as life-threatening as high blood pressure or other heart and vein problems, they can lead to a tremendous amount of discomfort. As you age, this reduces your quality of life. Fortunately, there are ways you can treat this issue on your own time to make the pain more bearable. Are you suffering from varicose veins and are seeking immediate help? Contact Dr. Gilvydis, today. Pairing these simple exercises with plenty of water helps keep your blood moving, preventing it from pooling in your veins and causing pain. Sometimes, even exercise is not enough to stave off vein pain and preventing your legs from aching at the end of the day. If this is the case, consider showering with cold water. Cold water causes veins and blood vessels to shrink, making it excellent for relieving the uncomfortable swelling that often accompanies this venous disease. Alternately, remember that hot water causes veins to expand, which could cause your pain to increase or severe cramping to begin. Therefore, avoid spending time in hot tubs or soaking in warm baths whenever you are able. If you have been experiencing vein pain regularly, consider visiting a qualified specialist. The right professional can help you find new ways to cope with the pain you’ve been feeling and check for any additional complications. Book an appointment with Gilvydis Vein Clinic today! Blood brings life-supporting nutrients and oxygen to your cells, allowing your body to perform all of its biological functions. Blood also assists in ridding your body of waste, keeping your system clean and working at optimal capacity. As with most aspects of our existence, it is easy to take your circulatory system for granted―until acute or chronic circulation issues and vein problems arise. Decreased flow in your blood vessels can occur due to disease, lifestyle, age, and weight. While some of these circumstances are in your control, others are not. Luckily, there are easy ways to improve your blood circulation. The food you eat everyday supplies your body with the fuel it needs to breathe, move and think. This fuel can be high-grade or low-grade, so it is important to learn how to provide the best nourishment to your cells without sacrificing taste, texture, and satisfaction. Add a side of fruit: Tart, sweet or tangy, berries and citrus fruits are loaded with anti-inflammatory antioxidants that help reduce blood pressure and boost circulatory function. Spice it up: Whether it is a dash of hot cayenne, warm cinnamon or savory turmeric, bring on the flavor and benefit from increased blood flow and stronger vessels. Flavorful foundations: Onion and garlic are full of tasty dimensions. They also have the bonus of boosting circulation to your soft tissue and combating inflammation. Vibrant salads: Toss together shades of green, red and orange for a colorful salad of kale, beets, tomatoes, and bell pepper that deliver anti-inflammatory bioflavonoids. Go nuts: Walnuts are full of healthy components that promote the production of nitric oxide, which aids in many circulatory functions. Nuts are also particularly helpful for diabetes. By replacing less nutritious foods with some of the above suggestions, you can effortlessly revitalize your diet without radically changing every aspect of it. Increasing the amount of physical exercise and activities you partake in has a wide-reaching effect on your circulatory health. It is known that maintaining a healthy weight, moving your muscles and tissues aerobically, and reducing stress are all ways in which you can promote a robust vascular system. By adding a simple walk around the neighborhood, learning some uncomplicated yoga stretches, and improving your breathing during activities, you are accomplishing many goals at once. Finish it all off with a moment of meditative silence, and your heart will thank you. We live in a sedentary world where sitting at desks and computers is far too common. With the added complication of poor circulation, you may experience numbness in feet or other extremities due to this poor body positioning. It can be easy to get lost in our work and forget about self-care, so set a timer or reminder that helps you stand and move. Though these recommendations are beneficial, various conditions require medical expertise to help you along the way. The experts at Gilvydis Vein Clinic understand this and are dedicated to helping you improve your circulatory health. Offering cutting-edge techniques such as ultrasound vein mapping, sclerotherapy, and endovenous laser ablation, we work as a team to get you back on your feet. Contact us today and start a new journey towards a better tomorrow. March is blood clot awareness month! According to the CDC, someone in the U.S. dies of a blood clot every 6 minutes. In fact, each year, more people lose their lives to blood clots than AIDS, breast cancer and motor vehicle accidents combined. March is Deep Vein Thrombosis (DVT) Awareness Month. Also known as Blood Clot Awareness Month, it’s a public health initiative aimed at raising awareness of this commonly occurring medical condition and its potentially fatal complication, pulmonary embolism. A DVT is a blood clot in one of the large veins, typically in the arm or leg. Anyone, regardless of age or gender, can develop a blood clot, which can cause serious complications and sometimes death. Yet, surprisingly, most people don’t know how to recognize the signs and symptoms of a blood clot or know their risk factors. The most common warning signs of DVT include pain, warmth, swelling, discoloration or discomfort in the leg. However, it can occur without noticeable symptoms. DVT can also lead to pulmonary embolism, a life-threatening condition. 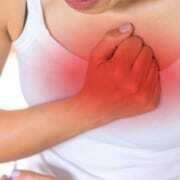 Its symptoms include shortness of breath, rapid heartbeat, dizziness and coughing up blood. If you’re showing any of those warning signs, seek immediate medical attention. Some people are more at risk for DVT than others. Those undergoing major surgery, people over the age of 65 and those who are confined to long periods of immobility, whether by bed rest or frequent traveling, are more likely to be afflicted. However, there are many other factors that can increase your risk of developing DVT. Varicose veins. If you are among the 23 percent of adult Americans with varicose veins, your risk of a blood clot increases exponentially. A major study published last year in the journal JAMA found that adults with varicose veins are at significantly higher risk of developing DVT. The study included almost half a million participants and the risk increased for both men and women. Genetics. 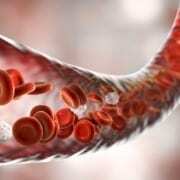 Family history also plays a large role in the probability of developing a blood clot or DVT. If you have family members with varicose veins, you are at increased risk. Inactivity. Extended periods of laying or sitting down can disrupt healthy blood flow and lead to clotting. You can decrease your risk by getting up and moving around at frequent intervals and avoiding crossing your legs while sitting. Obesity. Being overweight or obese puts more strain on your veins, which can lead to blood clots. Maintaining a healthy lifestyle and weight, exercising daily and eating a balanced diet can reduce your risk. Pregnancy. Being pregnant increases pressure on the pelvis and legs and can potentially lead to blog clots. Smoking. Smoking can have a significant negative effect on circulation and clotting, which can dramatically increase your risk of DVT. Hormones. Birth control pills and hormone replacement therapy can also increase clotting, making you more susceptible to DVT. With DVT Awareness Month, or blood clot awareness month, leading medical, public health and patient advocacy groups are working to increase awareness of the signs, symptoms and risk factors of DVT. You can help by learning more about the condition, symptoms and risk factors and sharing this life-saving information with your friends and family. If you think you are at risk, contact Gilvydis Vein Clinic to schedule a free vein screening. Treat varicose vein leg pain once and for all. Are you tired of being embarrassed by ugly varicose veins? Are you missing out on the fun because of your varicose veins leg pain? Maybe your legs are trying to tell you something. You’re not alone. More than 30 percent of men and women in the United States suffer from vein disease in their legs. It’s not just a cosmetic issue, but a real medical problem. Left untreated, varicose veins can lead to blood clots and deep vein thrombosis, a serious and sometimes life-threatening medical condition. The good news is that varicose vein treatment is significantly different than it used to be. Today, it’s faster, easier and can be done right in the doctor’s office. It’s also minimally invasive so patients have little to no discomfort or downtime. Winter is the perfect time to schedule a consultation. If you get started now, you can have your legs feeling and looking better just in time for those summer shorts. What is the Treatment for Varicose Veins Leg Pain? The most efficient and effective treatments for varicose veins are endovenous laser ablation (EVLA) and sclerotherapy. EVLA is an advanced technique that uses a laser to dissolve the vein. For many patients, minimally invasive EVLA is all the treatment they need. However, some patients also require sclerotherapy to treat residual varicose veins. Sclerotherapy uses a series of small injections to treat varicose vein leg pain and appearances. Most patients can return to normal activities by the next day. How Long Does Varicose Vein Treatment Take? For most people, varicose vein treatment is completed over the course of 2-4 months. However, many insurance companies require that patients try more conservative therapies like wearing compression socks. That process can take up to three months before they will approve laser treatment. Consultation. Your first consultation will take 30-90 minutes. We use ultrasound mapping to gain a deep understanding of which veins are affected and the extent of your venous disease. Conservative therapy. Your insurance company may require conservative therapy be completed prior to our office submitting a request to treat your varicose veins. Conservative therapy is often wearing prescription-strength compression stockings. The timeline can vary from 6 weeks to 3 months. Laser treatment. Once your insurance company approves laser treatment, we will contact you to schedule treatment. Each treatment takes 1-2 hours and multiple procedures may be needed on each leg – depending on the extent of your venous disease. These varicose vein leg pain treatments are minimally invasive, requiring little to no downtime so you can be back to work the next day. Ultrasound. Approximately 1 week following your final laser procedure, we use ultrasound to evaluate progress and ensure deep veins were not affected during treatment. This takes about 15-20 minutes. Second ultrasound. Approximately 1 month following your last laser procedure, you’ll have another ultrasound evaluation to ensure treated veins are closed and to check for any remaining small untreated veins. This evaluation takes approximately 30-45 minutes. Physician sclerotherapy. If needed, your doctor will treat any residual untreated varicose veins using sclerotherapy injections. Multiple sessions may be required. Cosmetic sclerotherapy. Patients also have the option of treating any remaining spider veins. These treatments are typically done on a self-pay basis. Are you ready to wear shorts and be active this summer? There’s no reason to keep suffering from varicose vein leg pain. We often encounter people who are afraid of varicose vein treatment. But our patients will tell you that there’s nothing to fear. Contact Gilvydis Vein Clinic to schedule a consultation today and get treatment for your varicose vein leg pain before summer starts. Diet plays one of the most important roles in your health. As you may already know, eating the proper foods and avoiding the wrong ones are two of the easiest ways to improve your vein and circulation health. Veins are a vital part of the circulatory system and are responsible for carrying deoxygenated blood back to the heart. Unhealthy veins can lead to a variety of conditions, such as spider and varicose veins, chronic venous insufficiency, deep vein thrombosis, and pulmonary embolism. While eating the proper diet can’t reverse these conditions, it may help prevent them from occurring or keep them from getting worse. Consuming bioflavonoids impacts your body’s health in many ways, especially in the area of vein health. Bioflavonoids are believed to strengthen and support vein walls to help prevent varicose veins and keep the veins functioning properly. They may also help relieve swelling and pain caused by varicose veins. Nearly all fruits and vegetables contain bioflavonoids, as well as chocolate, tea, and some dried beans and seeds. Excessive amounts of sodium can be found hiding in many different foods, and that’s why it’s important to check labels and look at nutrition information when eating out. Drinking more water also helps flush extra fluid from your body and prevents dehydration. Bisphenol (BPA) is a chemical found in hard plastics that are known to mimic the effects of estrogen. Estrogen has been linked to an increased risk of spider veins and may also be related to high blood pressure. Many food and drink containers are made using BPA which can seep into the food or drink, especially when exposed to heat. To avoid consuming BPA, choose only plastic containers that specifically state they are BPA-free, or alternatives such as glass, porcelain or stainless steel. Avoid using plastic dishes when warming food in the microwave and use glass storage containers when storing food in the refrigerator. If you’re currently experiencing the symptoms of poor vein health, such as spider veins, varicose veins, chronic venous insufficiency or other vein problems, contact Gilvydis Vein Clinic. We offer individualized treatments plans based on your unique needs. While eating the proper diet is important for vein health and the overall health of your body, letting existing vein problems go untreated leads to more serious problems in the future. Gilvydis Vein Clinic specializes in treating vein disease and uses the most up-to-date treatment methods, such as ultrasound vein mapping, endovenous laser ablation (EVLA), and sclerotherapy. Contact Gilvydis Vein Clinic today to request a free screening. Microphlebectomy, or ambulatory phlebectomy, is an effective but invasive treatment for varicose veins. If you have suffered from varicose veins or know someone who has, you can understand how painful and embarrassing this condition can be. Microphlebectomy, although optimal for some patients, can cause additional pain during the healing process, making it a disruptive and inconvenient procedure. At our vein clinic in the greater Chicago-land area, we strive to provide the best experience for our patients, avoiding this procedure when possible, and finding a treatment option that fits with your busy schedule. Learn more about our clinic online and book your appointment today. Varicose veins are unattractive blood vessels that appear under the surface of the skin, typically in the legs and can sometimes be painful. Veins, unlike arteries, rely on one-way valves to keep blood flowing in one direction. Varicose veins are often the result of the weakening of the walls of the veins that prevent the one-way valves from working correctly. When this happens, the blood begins to collect or pool behind the valve. It thickens as it collects and creates a bulge that gives varicose veins their lumpy appearance and dark purplish color. Switching positions and increasing leg circulation can reduce some of your risks for developing these unsightly veins. Varicose veins can vary in size depending on the size of the vessel affected, and larger vessels can be removed through a small incision. With microphlebectomy, tiny incisions are made to remove the offending veins. The incisions are usually about one to three millimeters in size and do not typically require any stitches. Scarring is small, and discomfort is minimal, but it’s recommended that patients rest for 2 – 3 days after their procedure. Compression socks should be worn for 2 – 3 weeks after the procedure and vigorous exercise should be avoided for at least 2 weeks. Due to the intrusive and disruptive nature of having a microphlebectomy, we instead offer EVLA, or endovenous laser ablation (EVLA), and foam therapy, also known as sclerotherapy, to treat varicose veins. These cutting-edge treatments have replaced the need for surgery or anesthetic, allowing you to get back to your daily activities almost immediately. Both EVLA and sclerotherapy are quick, non-surgical procedures that can take place in our offices. These treatment methods are less invasive than other kinds of vein procedures, making your experience less painful and easier to fit into your schedule. There is very little to no downtime, but there may a bit of bruising briefly in the area where the laser or injection is applied. Learn more about EVLA and sclerotherapy online or book your appointment, today. If you have varicose veins or are concerned that you are at risk for developing them, contact Gilvydis Vein Clinic to schedule an appointment today. We have two locations in Sycamore, IL, and Geneva, IL for your convenience. Our friendly and professional staff will help you determine the best method of treatment for your varicose veins, taking the time to learn about your situation and thoroughly examine your legs. Serena Williams is known for dominating tennis and wearing eye-catching, fashion-forward attire while doing so. In the May 2018 French Open, Williams sported a black catsuit. Bernard Giudicelli, the French Tennis Federation president, criticized her attire. He considered it the fit to be inappropriate, stating the form-fitting suit could not be worn in future tournaments. The outfit controversy raised many eyebrows. Williams shared her reasoning for wearing the infamous black, short sleeved Nike catsuit – she wasn’t trying to make a fashion statement. Instead, she wore the suit with the purpose of preventing blood clots from forming in her body. Serena Williams gave birth to her daughter, Olympia, on September 1, 2017. Soon after the delivery, the new mother experienced a pulmonary embolism. This was not her first encounter with this health issue as she experienced two pulmonary embolisms, or PE’s, back in 2011 after undergoing foot surgery. A pulmonary embolism is a blood clot that typically develops in the legs and moves into the lungs. When this happens, the clot blocks the lungs from receiving oxygen and blood. This medical condition makes breathing difficult and if gone untreated, can result in a fatal outcome. Williams’s struggles have brought a lot of mainstream attention to this life-threatening condition. While the tennis superstar may be the most high-profile person to deal with this medical issue, it is fairly common among many Americans. Approximately 900,000 people in the United States may suffer a pulmonary embolism each year, according to the Centers for Disease Control and Prevention. If you have any of these symptoms, it is best to seek emergency medical treatment as soon as possible. Keep in mind that DVT does not always exhibit noticeable physical problems so it’s important that you regularly touch base with your vein doctor or primary care physician. Serena Williams’s catsuit was designed to boost the blood circulation in her legs, with the intent of lowering her risk of forming blood clots. Her garment functioned like a compression stocking by applying gentle pressure to the legs while remaining comfortable and formfitting. Wearing compression socks and supportive clothing prevents the pooling and clotting of the blood. The best dressings you can invest in cover your leg from the ankle up to your knee, thigh, and/or waist. A filter inserted into the center vein of the body (a non-invasive treatment option offered by Gilvydis Vein Clinic). Pulmonary embolism and deep vein thrombosis are conditions that can be fatal if not diagnosed and treated immediately. Fortunately, there are effective methods for treating and preventing blood clots. If you have concerns about PE and DVT, schedule a free screening with our team at Gilvydis Vein Clinic. We have specialists on staff who have years of experience treating these conditions. When the body cannot easily circulate blood, the symptoms of poor circulation often become apparent and will start affecting your appearance and lifestyle. Although poor blood circulation is not a health condition, it manifests in response to other health issues. These problems include blood clots, peripheral artery disease, diabetes, Raynaud’s disease, varicose veins, and obesity. Poor circulation is also more common among those who smoke as well as pregnant women. Some of these symptoms are localized to the affected areas – most often in the arms and legs – but if left untreated, poor blood circulation can lead to serious health problems throughout your entire body. These include blood clots and infected ulcers, which can even necessitate amputation. In men, erectile dysfunction is sometimes associated with poor circulation. High blood pressure caused by poor blood circulation can also lead to cardiac problems as the heart has to work harder to circulate oxygen and nutrients through the body. Eliminating the underlying health problem usually resolves poor circulation. For example, those with diabetes will receive medication or dietary recommendations to control high blood sugar. Blood clots can be treated with blood thinners, while calcium channel and alpha blockers are prescribed for Raynaud’s disease. Home remedies can also improve circulation and alleviate symptoms of poor circulation. If the legs are affected, compression socks can help reduce swelling and relieve pain. Your doctor can recommend exercises to encourage healthy blood flow. To help treat or prevent the symptoms of poor circulation, try getting at least 30 minutes a day of aerobic exercise and eating a heart-healthy diet. If you are obese, losing weight can decrease your risk for chronic illness and reduce comorbid health problems like poor blood circulation. If your poor blood circulation is associated with or causes varicose veins, you may be bothered by the appearance of these enlarged blood vessels. Blocked and swollen veins contribute to the pain and discomfort of poor circulation. Gilvydis Vein Center offers safe, effective treatment for varicose veins. Before outlining a treatment plan for you, we conduct ultrasound vein mapping to determine the exact location and extent of varicose veins. This outpatient procedure takes about an hour and allows us to visualize and identify problematic veins that are causing poor circulation. With endovenous laser ablation (EVLA), we can remove damaged or diseased veins without open surgery. This minimizes both your recovery time and your risk for complications. A laser catheter is inserted into the affected vein to close it off and reroute blood circulation through the healthy veins. This outpatient procedure takes about 45 minutes under local anesthesia. Sclerotherapy is used for smaller veins that cannot be treated with EVLA. With this treatment, a liquid or foam solution is injected into the affected veins. This causes the veins to close, alleviating the symptoms of poor circulation. After this treatment, you can return to regular activity but may need to wear compression stockings. If you’re experiencing the symptoms of poor blood circulation or are troubled by varicose veins, request a free vein screening today. This visual assessment allows our doctors to develop a comprehensive treatment plan for your vein issues.